Puerto Rico After Drake's repulse at San Juan, he anchored twice on the westernmost shore. The most detailed narrative incorrectly states that it was on the SW coast. Furthermore, many different place names were referred to, one of which had been mis-translated from Spanish to English. The place names no longer exist. I received crucial information from the island's most eminent historian. 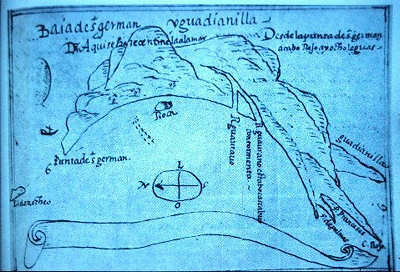 From the Seville archives, he had published the first known perspective and half plan map of the west coast. This 1575 document included all the old place names. 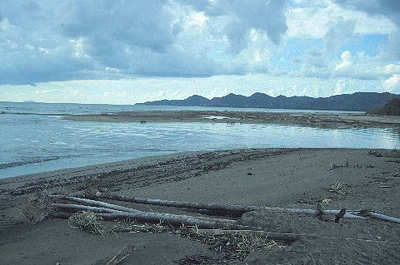 It proved that Drake's lost anchorages were at the Calvache and Añasco rivers. The photo is of the latter.